If you want an informed opinion on the state of the cloud and the relative merits of the players, Sebastian Stadil’s a good person to ask. 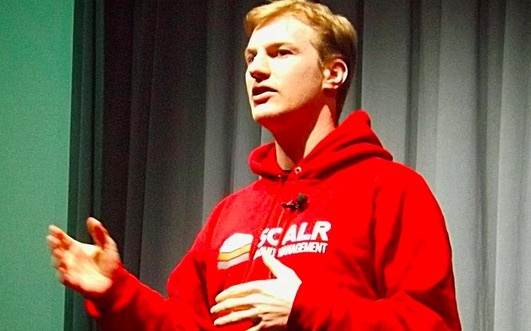 Founder and CEO of Scalr, a multi-cloud management company, he keeps his finger on the pulse of all the players and — perhaps more importantly — their customers. On this week’s Structure Show he handicaps how [company]Google[/company] and [company]Microsoft[/company] are doing in public cloud not just technologically but in terms of their sales strategies which, when it comes to enterprise accounts, may be just as important as technology. And of course the company everyone is measuring by is [company]Amazon[/company] Web Services which leads the pack. Oh, and he’s got lots to say about the OpenStack ecosystem as well; cloud technologies from [company]Oracle[/company], [company]Joyent[/company] and more. It was a busy week in the funding arena with Nginx, DataGravity, and Mesopshere all getting substantial VC rounds ($20 million, $50 million and $36 million respectively.) That ain’t chicken feed and we talk that out. And, of course, this week’s Hortonworks IPO puts the spotlight back on Hadoop and big data in a big way, which gives us a chance to tout Gigaom’s upcoming Structure Data event which will feature talks from Hortonworks CEO Rob Bearden, Cloudera CEO Tom Reilly and MapR CEO John Schroeder.